One of the many traits unique to video games is the sheer volume of entertainment a game can provide. While a movie is over in two hours on average, and a TV show may offer ten to twenty hours in a season, an amazing game can be played for hundreds of hours. Because many games have no final end, there are many choices, but a few titles stand out for their incredible tendency to drag almost everyone who plays them deep into their world. These games are so enthralling they can ruin report cards, strain marriages and make you want to call in sick for work – consider yourself warned! E3 may have come and gone over a month ago, but there is one thing that happened at the giant press event that I don’t feel got the attention it deserved: the range of Vita games shown off. Sony kind of had them tucked away in the back corner of their booth. Obviously, the main focus for Sony was getting its PlayStation 4 in front of as many people as possible, but I can’t help but feel like it dropped the ball with the lack of attention it gave its Vita. If you’ve not been gaming from under a rock for the past few years, you’ve caught on to the MOBA genre of games, or have at least heard of them. While there is a handful of games in this genre, few stand above all others. By this, I mean they are some of the most played and viewed games in the entire world. Right now, it’s all about Dota 2, League of Legends, Heroes of Newerth and SMITE. But which one is for you? Let me help you find out. In most forms of entertainment, romance is a key part of the story. Even horror movies tend to have some sort of hidden or not so hidden romance tucked away in the story. Video games tend to escape this in many cases, as the storytelling in video games has not evolved as well as some of the other mediums. After all, it’s a pretty new way for people to tell stories, so it has not has much time to mature. That being said, there are some examples of video games with romance. A new generation of consoles obviously brings better visuals with it, but graphics aren’t everything. While previous console generations relied rather heavily on improvements to how the games looked, this one is set to value a wide variety of other features above pure aesthetic appeal. Do you know about some of the random, obscure consoles that came out back in the day and somewhat recently? Nintendo and Sony were not always the only game in town, it just happens that they are the ones to stick it out through the hard times. The original GameBoy may have been what truly blew the handheld market, but without some of these lesser-known handhelds, the market may have never exploded in the same way it has today. So, you’ve spent hours upon hours playing Dota 2. Now, for one reason or another, you are being forced to leave your home to face the scary outside world. This means you can’t play the game for a while, and depending on your level addiction to the game (let’s face it, the game is hard to stop playing), this might be rather difficult. What is a Dota nut to do when they aren’t near their PC to play the game? Get some Dota iPhone apps, of course! If I mentioned tabletop RPGs to you, what is the first one that pops into your head? If I had to guess, I would assume you are thinking of Dungeons and Dragons. Sure, some people might think of Warhammer or Shadowrun, but for most outside of the tabletop space, Dungeons and Dragons is the first game they think of. In fact, for many people, it might even be the only game in the genre they know at all. As with most popular things, there are plenty of video games out there based on the Dungeons and Dragon universe. Some are not so good, and some are downright fantastic, even if you are not a fan of the tabletop version of the game. There is no better design for smartphones and mobile devices than minimalism. The medium’s very nature requires limitations on screen space and power usage, so you really get the most bang-for-your-buck with modern designs – especially for mobile gaming. If you want cutting-edge graphics, look to the console wars. But for Android games? I look to minimalism. Everything is reduced to its most core components, and when that’s applied to both gameplay and interface, you end up with games that are easy to play and pleasant on the eyes. Reviewing something, whether it’s hardware, software, art, or an experience, is a deceptively tricky thing to do. You have to try and put aside personal biases and focus on the actual positives and negatives of that thing. Even if you manage to do this successfully, there will always be someone out there who disagrees with your review, and for one day only that person is me. What follows is a list of five video games that are almost universally acclaimed by the critics and beloved by gamers. The real-time strategy genre is one of the staples in gaming today. Other genres, like first person shooters and role playing games, are saturated with hundreds of different titles, but real-time strategy doesn’t hold the same kind of prevalence. You have the big names like Starcraft and Age of Empires, but many RTS titles never gain much traction – especially the free ones. I think RTS games are great but I don’t derive enough entertainment from them to justify spending money. That’s why I play free RTS games instead. Keep in mind that free games don’t have the same kind of manpower behind their development, but that doesn’t mean they’re bad. Who says video games have to be an intense experience that keeps you on the edge of your seat the entire time? Of course, playing through an intense FPS like Call of Duty is fun when you’re in the right mood, and a horror game like Resident Evil can hit the spot at certain times, but sometimes you want to kick back, relax, and play a game that soothes you. Kirby is a mainstay in Nintendo’s staple of mascots, however, the little guy just doesn’t get as much love as Mario, Zelda, and some of the Japanese company’s other characters. Perhaps it is because Nintendo uses him in weird games outside of his typical genre. Maybe it’s because he’s too cute. Who knows? Whatever the reason, I am going to push aside the lack of love for Kirby and dedicate an entire article to listing off my favorite Kirby games. Xbox Live Indie Games are the product of hobby and folly, providing anyone with an idea and some programming skills with a chance to make and release a game. The platform went live in late 2008 when the first indie games were released. Since then the number of titles has surpassed 2,000, and despite all the terrible Minecraft clones and avatar games there are some quality titles to be found. Unfortunately, Xbox Live Indie Games won’t be around forever, so here are my must-play titles before time runs out. The PlayStation 4 has some fantastic games heading its way, which is one of the multitude of reasons why you should buy the Sony console over the Xbox One. Having already looked at five games exclusive to the PS4, it’s now time to look at five PS4 games that will be free-to-play (F2P). Gaming can be an expensive hobby, unless you utilize some of the many ways you can game on the cheap. It’s especially expensive at the start of a new generation of hardware, with the consoles sold at a premium until the costs come down enough for the manufacturers to cut prices. This won’t leave the average gamer with much money left to buy the actual games they want to play. 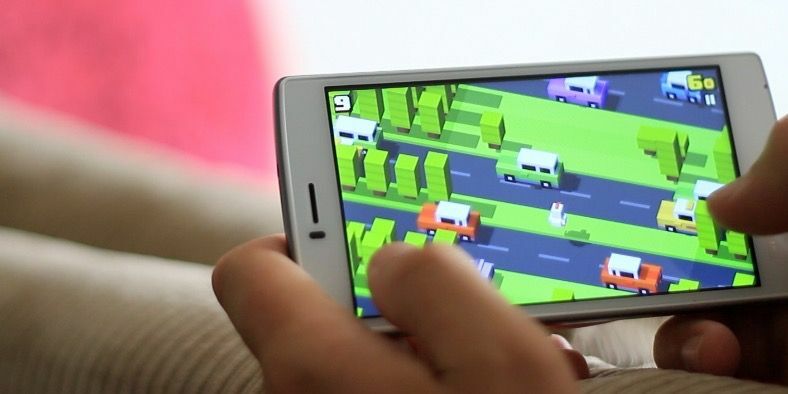 Every day hordes of new games hit the App Store, but far too many of them feel the same. Developers see something selling, and they want to get a piece of the pie. What if you want to play something a little bit different? Are there games on the App Store that really break the mold? Of course there are! You just have to know where to look. Today, we are going to dig into five iOS games that really do something different. Earthbound is one of those games that didn’t meet a lot of fanfare upon release, but slowly built up a fan base over time until today when it has become a cult classic. It’s known for being a whacky and unconventional RPG with a storyline that eschews swords and sorcery in favor of yoyos, bats, and psychic powers. The music for the game is just as outlandish, and the remixes are something to admire. As with every trend in games, there will be imitators and competitors. You may have heard of Terraria. It wasn’t exactly like Minecraft, but it obviously took many of its gameplay elements from the success that Minecraft saw. It brought a unique flavor to this style of game, but ultimately it has been considered a failure in the gaming community. Development is dead and it’s being openly pirated and picked apart. Let’s look at two more games that have a shot at making a bigger splash than Terraria did and maybe even competing with Minecraft.